These are just some of the certifications that our Director of Training has earned. At A.C.T.A we believe it is important to understand what training your trainer has had and what they are certified to teach. It is not enough to take someone’s word for it, we want proof, so we offer this here. 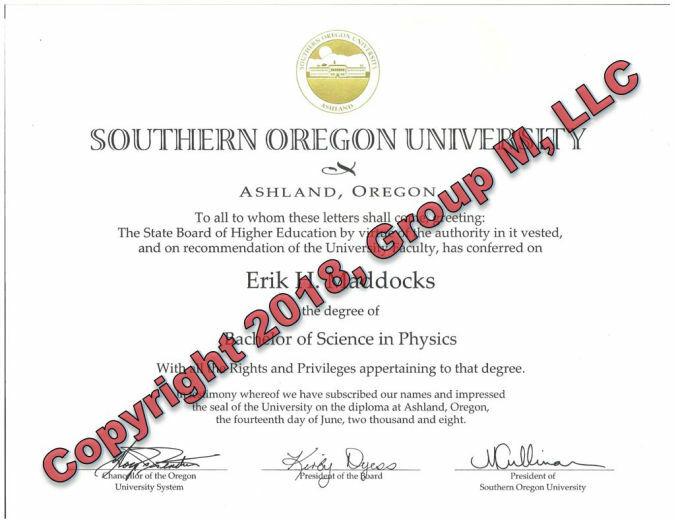 Mr. Maddocks earned his Bachelor of Science in Physics from Southern Oregon University in just three years, while working full time as an engineer. 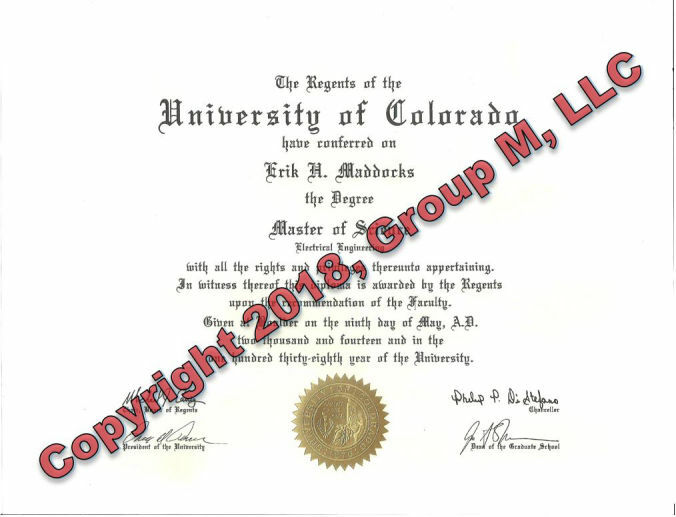 Mr. Maddocks earned his Master of Science in Electrical Engineering from the University of Colorado in Boulder, with a concentration in electromagnetics, microwaves and radio frequency. 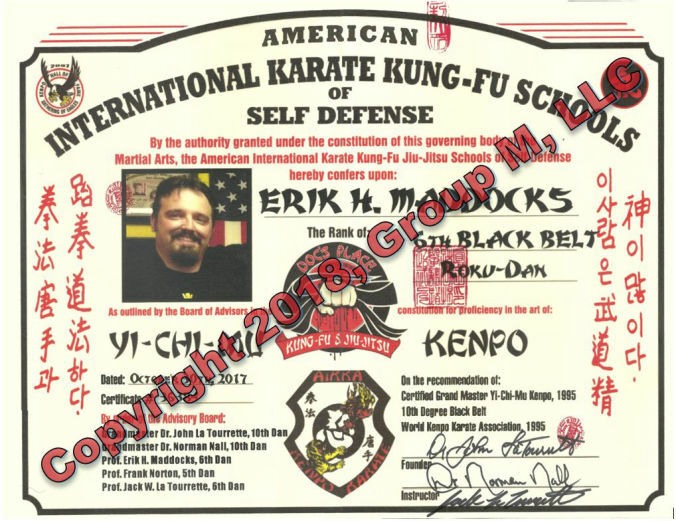 Mr. Maddocks earned his 6th Degree Black Belt in Yi-Chi-Mu Kenpo after almost 30 years of training in the martial arts. Mr. Maddocks has taught professionaly since 1996. 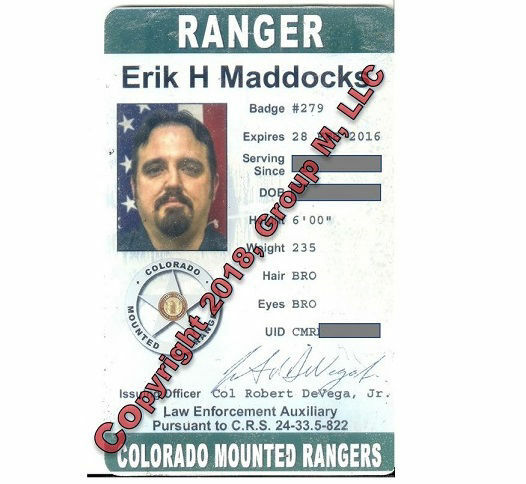 Mr. Maddocks proudly served the state of Colorado as a sworn Colorado Mounted Ranger performing law enforcement duties at special events and during natural disasters like the 2013 Colorado floods. 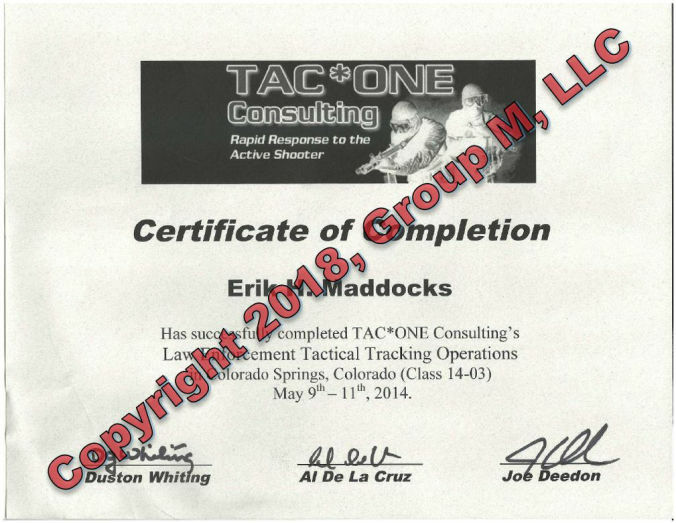 Mr. Maddocks is a certified Tactical Tracker. In 2014 he was part of a select group of Colorado Rangers that underwent the training at Fort Carson. There he learned how to track humans through varying terrains for both suspect apprehension and search and rescue operations. 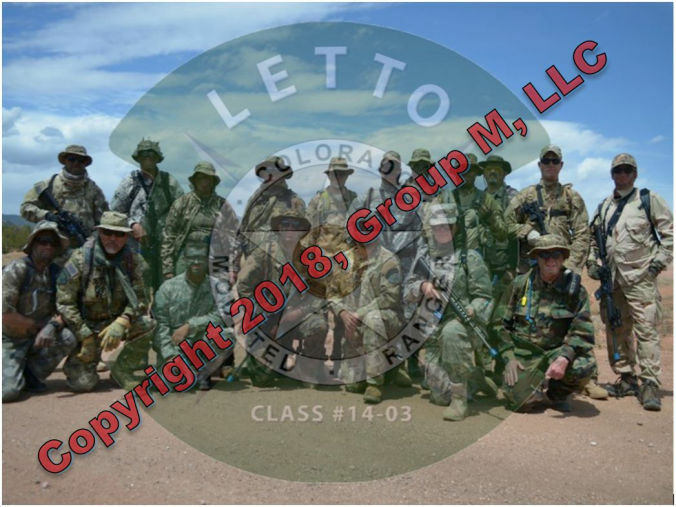 Tactical Tracker class photo at Fort Carson Colorado, 2014. 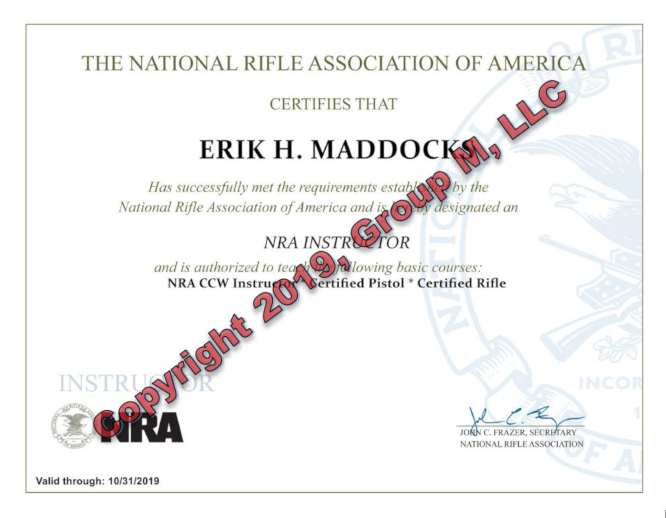 Mr. Maddocks is an NRA certified instructor for both Pistol and Rifle courses. 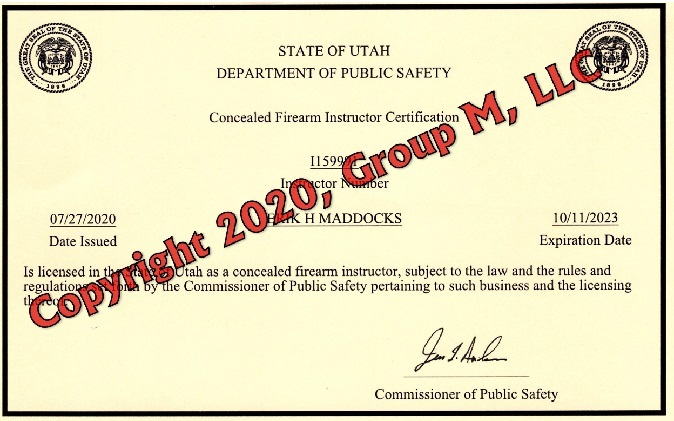 Mr. Maddocks is certified by the State of Utah to instruct concealed firearms classes for non-Utah state residents to get their non-resident Concealed Firearms Permit. 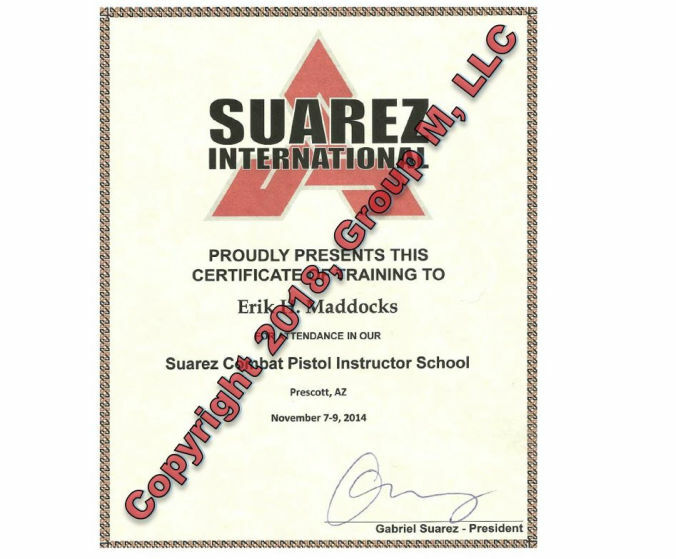 Mr. Maddocks completed the Suarez Combat Pistol Instructor School and incorporates those principles and techniques in his advanced classes.